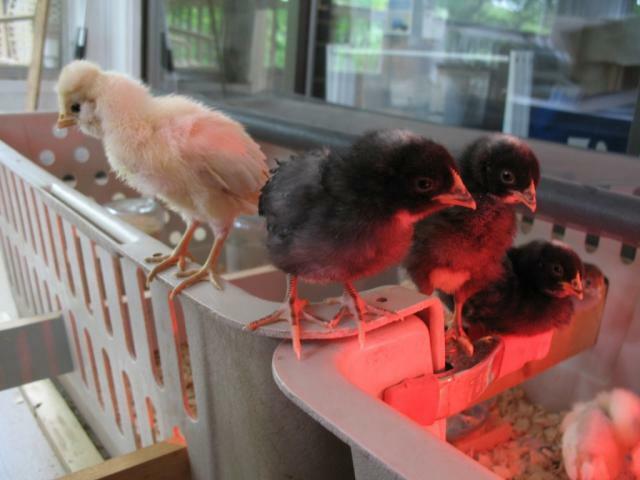 Our chicks outgrew their first coop on day 1. 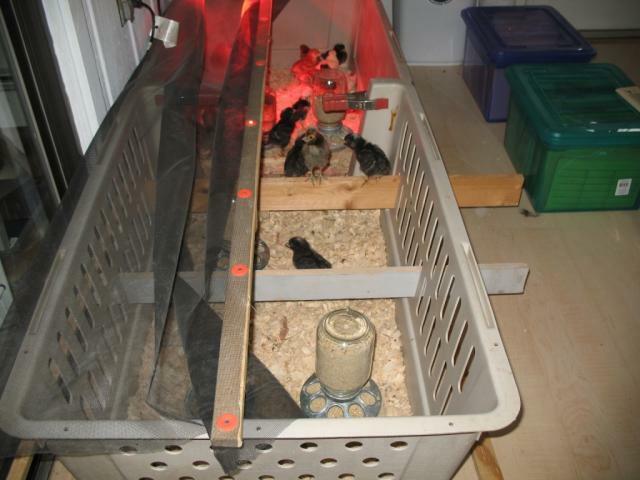 We borrowed a small dog cage and carefully placed the 22 chicks in it. 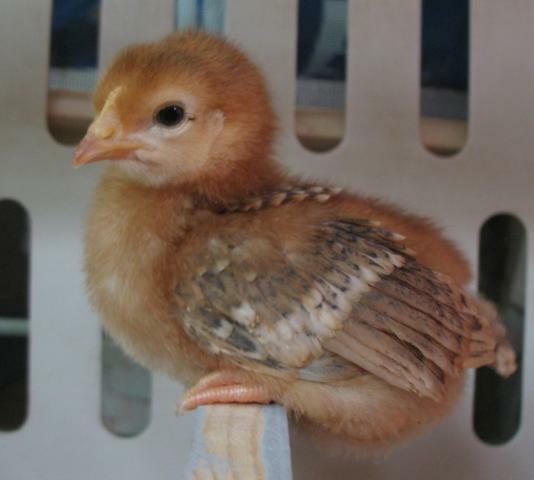 Immediately, one of the Rhode Island Reds became aggressive. 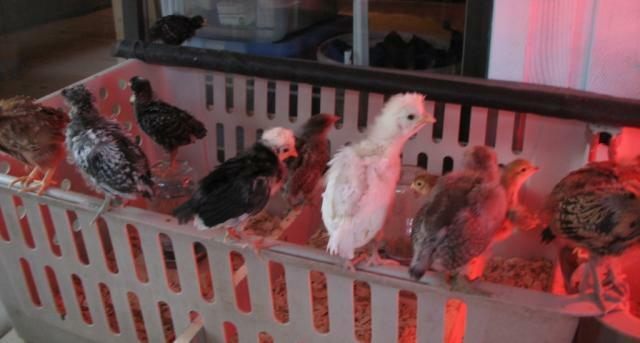 By mid-afternoon, we moved them into a galvanized tub. Even looking at this photo two weeks after it was shot, I am amazed at how quickly they outgrew this space. We had a screen that we rolled over the top to keep nosey kitties out. 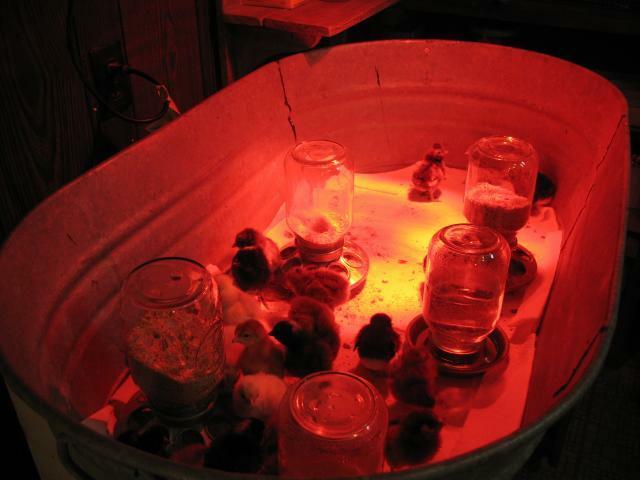 Then, the move to a custom made brooder! Two halves of an extra large dog carrier clamped together. 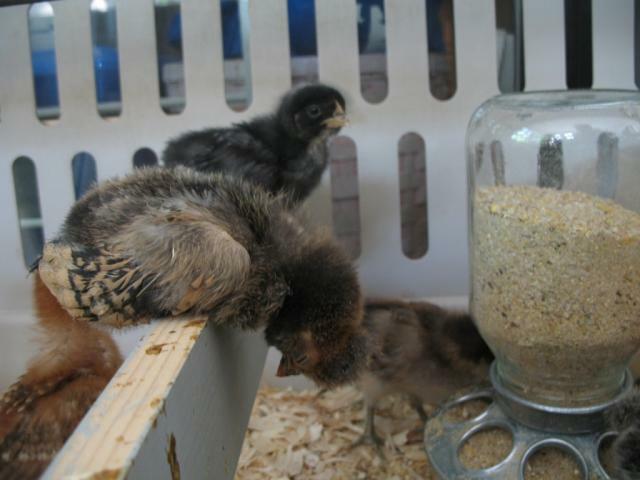 My husband ingeniously slid two boards for roosts, and the babies loved them. We also moved them from a dimly lit shop area to our sun porch. The floor is Pergo, so no worries there. A nice place to take a nap! Not sure what is next - hopefully we can finish the coop and convert the inside space to a brooder for the remainder of their chickhood! Birds are getting bigger! This was taken about a week later - wow, they grow fast!